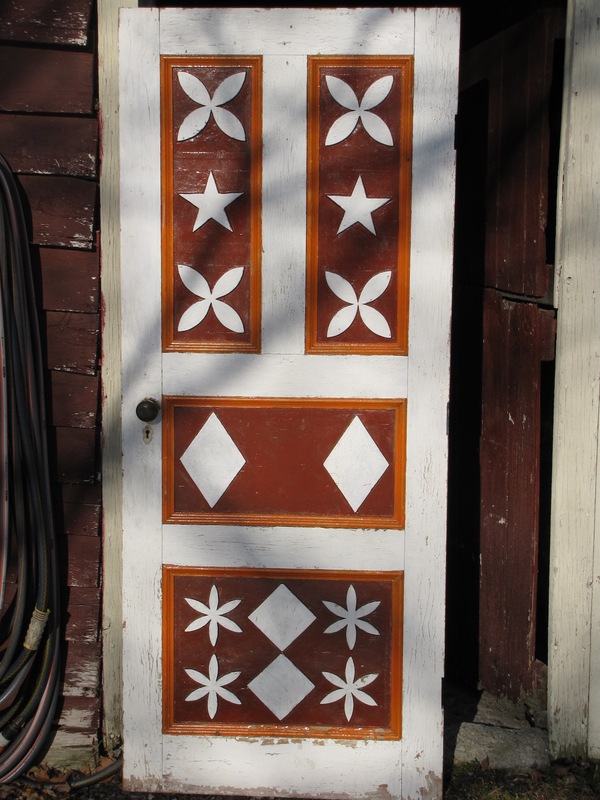 This is a circa 1900 door from Cape Breton with carved panels and vibrant paint. It measures 30" by 72". I have not shown the other side, as , well it is just a door. The surface is old and crackled. 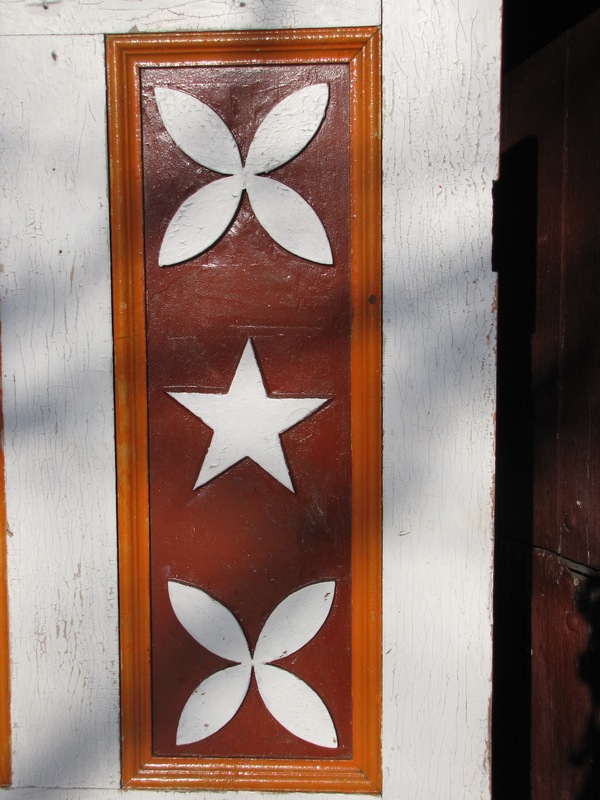 This would look great as a highlighted installation or could be used as a head board, etc. The limit is the imagination.